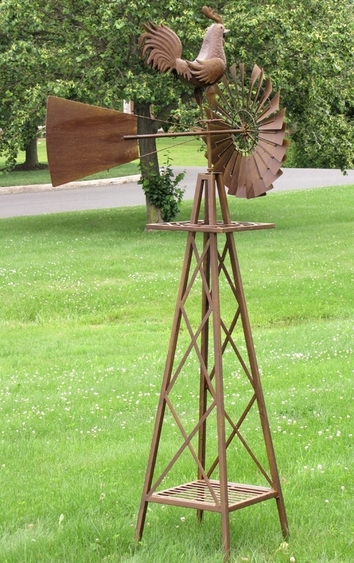 Our new Larger Windmill with Rooster Bird is very impressive and is quickly becoming one of our new signature items! Towering just under 8 feet tall, both the rooster and windmill effortlessly rotate 360 degrees and shows the direction of the wind. This item looks spectacular on any lawn or garden as it catches the wind from all directions. All metal in design and powder-coated for extended durability for outdoor used.